The ongoing Fourmile Canyon fire immediately west of Boulder has brought to light the necessity of doing the work to make “defensible space” around your home. 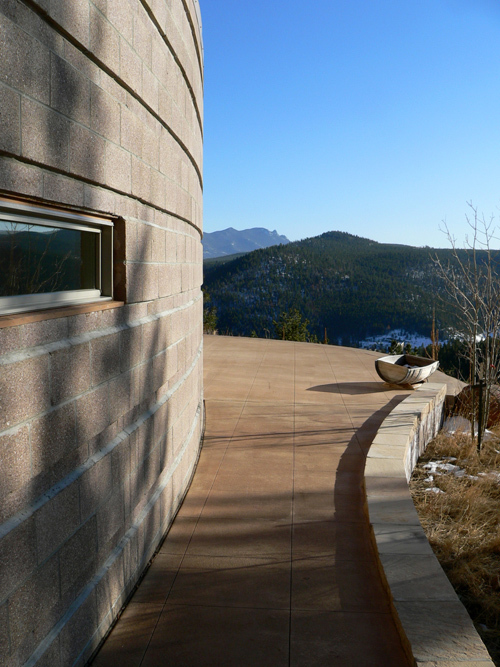 In a city like Chicago, defensible space means good lighting and safe streets, but here in the Rocky Mountain West it means wildfire mitigation and ignition resistant construction. It is not only for new construction, every property owner should take heed and can take action now to help protect themselves and their property. 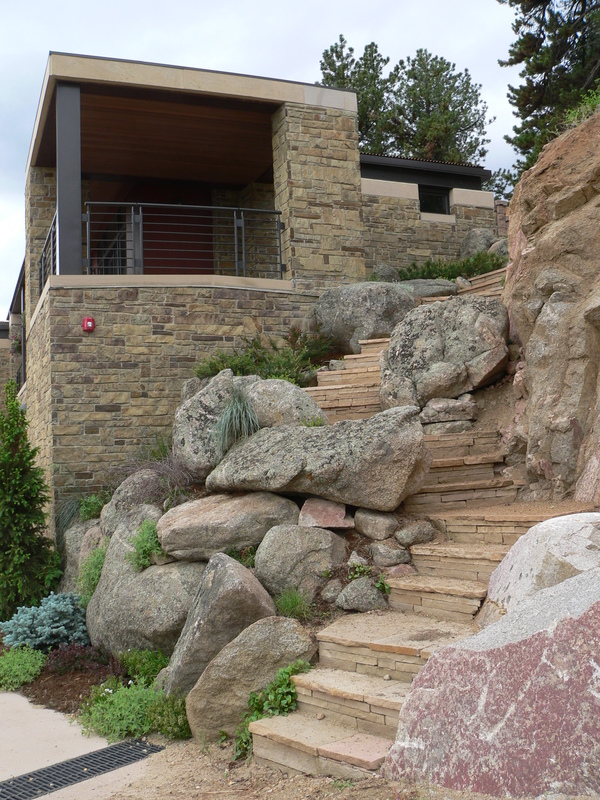 Boulder County has a two-pronged approach to designing houses and landscapes that can withstand moderate wildfires. The first is by using only building materials that are ignition resistant. This does not mean fireproof, but does mean avoiding the use of wood roofing, as in shakes and shingles, and decks. 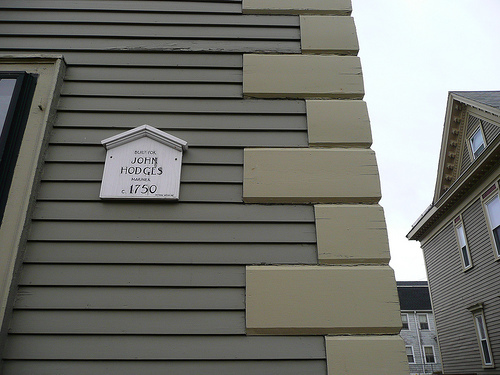 Even on vertical surfaces, like siding, the wood materials are to be backed by a layer of 5/8″ thick fire resistant gypsum sheathing. The day of the start of the Fourmile wildfire had the humidity at less than 10%. If you combine that with the drying effect of high altitude sun, you will see that any exposed wood, in just a season or two, quickly becomes blistered and cracked and is prime kindling. Thicker sections of wood, like heavy timber are acceptable as they generally surface burn leaving enough material unharmed within to still provide sufficient structural integrity. 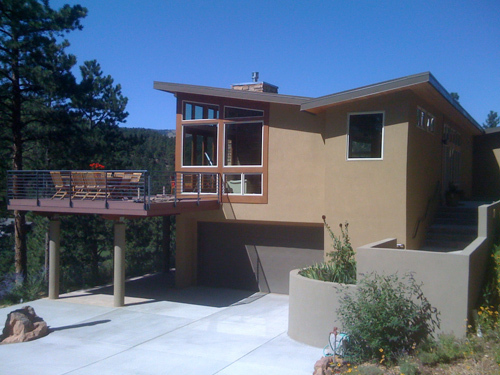 The most common mistake is to not fireproof the undersides of overhanging decks and eaves. Hot gases and embers roll uphill and can catch underneath these projections igniting the entire structure. Of course most of the concern in these mountainous wildfire zones is concentrated on not starting fires in the first place. Any houses larger than 3,600 square feet are required to be sprinklered and many locations require substantial fire-fighting water storage cisterns to run that system for a period of time. A recent project of ours required a 30,000 gallon cistern – about a swimming pool’s worth of water – to be stored on site in semi-buried tanks with fire hose connections. Fires that start inside houses should not be allowed to set the entire mountain of fire. 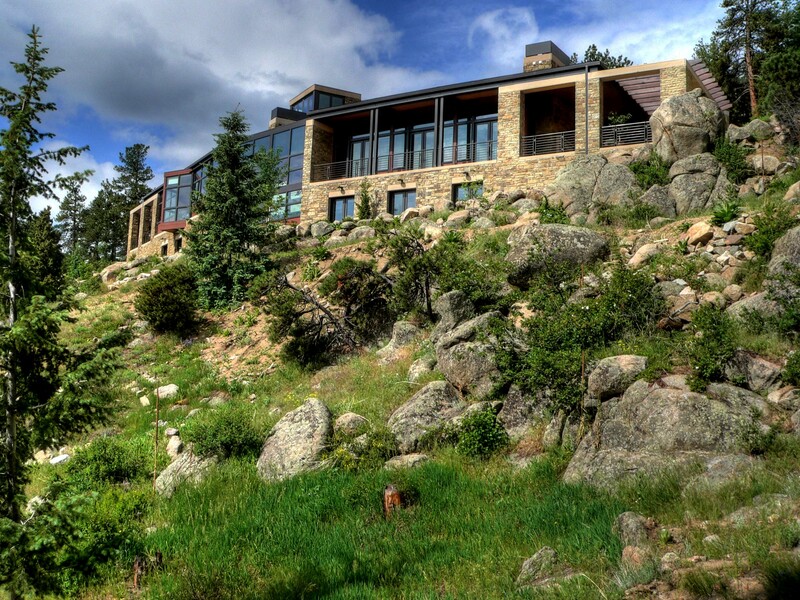 The final part of the defensible space planning is to undertake wildfire mitigation efforts. 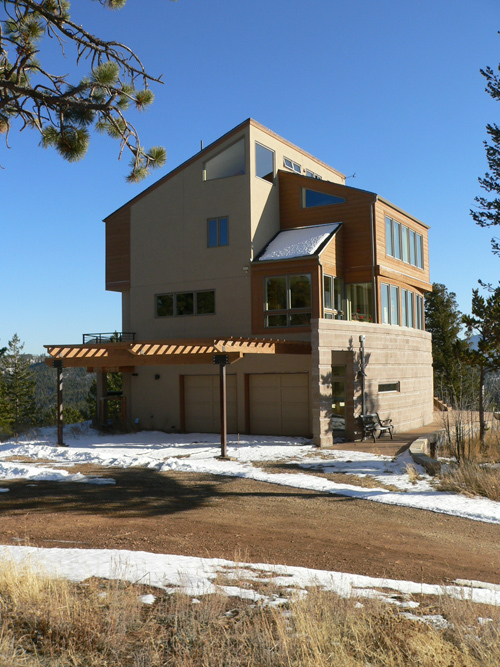 These can be done with new or existing structures and essentially boils down to getting rid of wildfire fuels around the immediate area of the house. 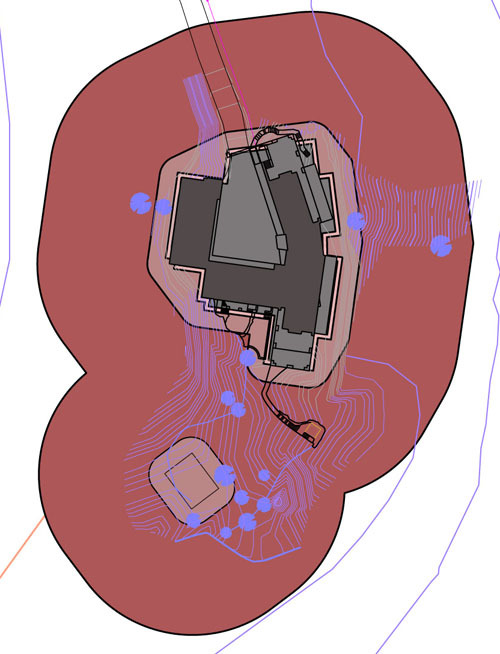 It does not mean that you have to live within a perimeter of gravel, but there are zones extending out from the house that reduce bushes and trees to create a fire break between the structure and the surrounding forest. These zones are based on Boulder County’s Wildfire Mitigation Plan requirements and, in the case of new construction, are inspected prior to occupation of the finished building. 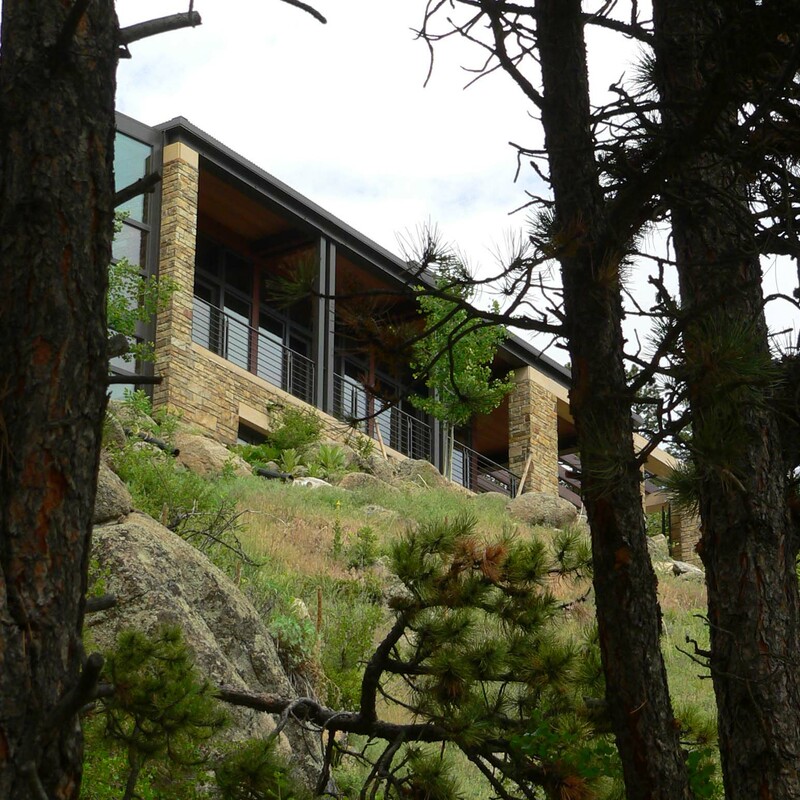 It is often painful to cut down trees and remove plantings on the beautiful sites that client’s choose to live. We architects often complain that the wildfire field inspectors are a bit too quick to clear-cut a hillside. When we lived up in the mountains it was a hard and painful task, but I cut down some 20+ trees from the area immediately surrounding our house and put many of these zone precautions in place. This fire should remind us all that these are all simple and necessary parts of living in the mountainous West. We have all seen this stuff, the clearly stuck-on fake brick and stone that has completely taken over the real masonry world. LEVEL ONE: real bearing masonry. This is what masonry was 100 years ago. The stone or brick actually held up the weight of the roof and the structure above. It had to be thick, more so at the bottom, to bear the weight. The Monadonack Building in Chicago is many feet thick at the base, composed of multiple wythes (a wythe is a single row thickness of brick) of brick. When you seen header bricks they are not half-bricks, but stretchers turned 90 degrees and spanning over two wythes to tie them together. 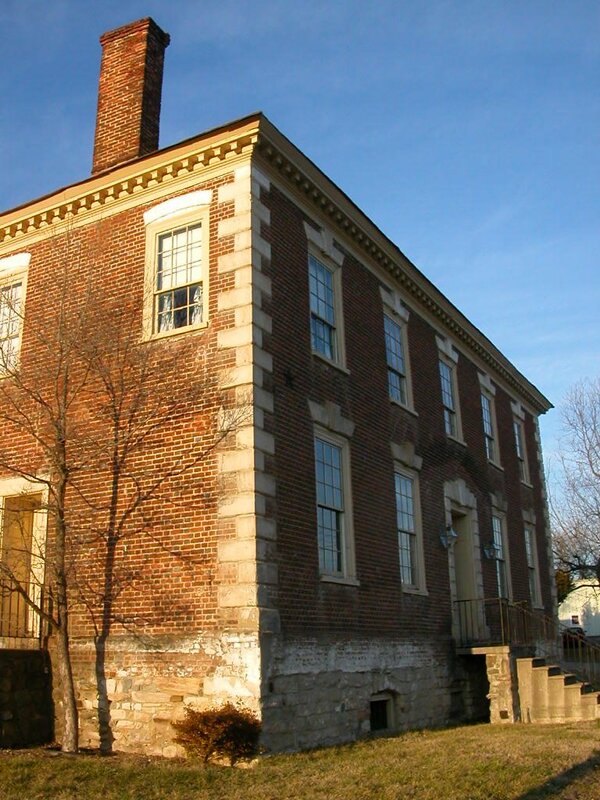 To bear the weight of even a simple roof, brick or stone had to be thicker than 4 inches (the width of a single wythe of brick). LEVEL TWO: masonry veneer construction. 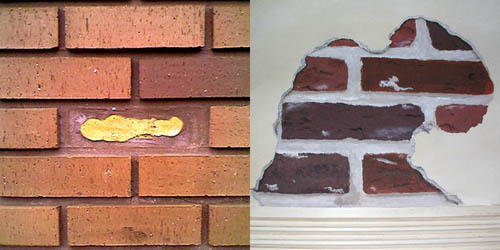 For decades now the mode of construction when masonry is employed is most often as a thin (4″ – 6″ thick) veneer acting as an exterior finish material and covering the real structural support of the building, be that wood or metal studs or concrete block (commercial block construction is still often bearing – the block you see on the outside of the building is doing the structural work). 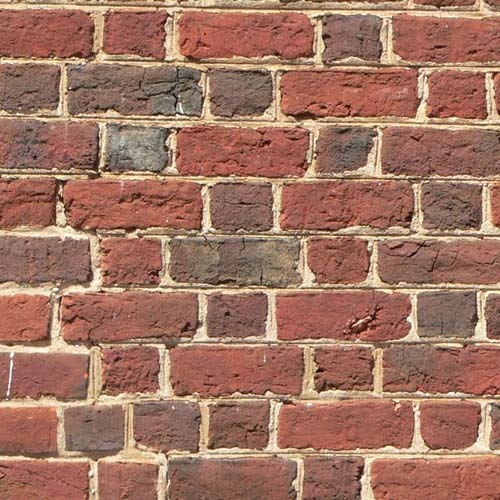 This mode of masonry is what is most often used in residential construction and the masonry you see, although not holding up the building, is still stacked, stone upon stone, brick upon brick, supported on a concrete foundation. 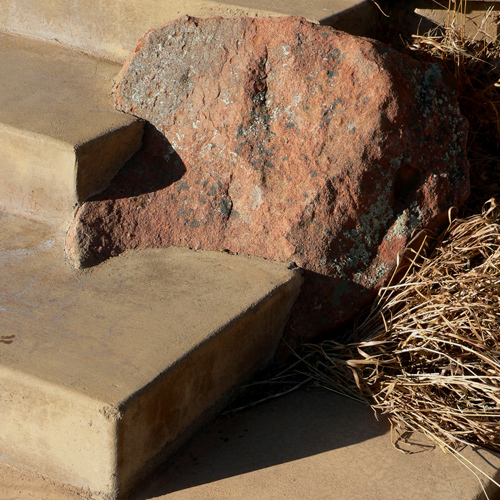 In some unfortunate cases the stone is not real – it is concrete formed units made to look like stone to reduce the cost of the material, but still bearing its own weight. LEVEL THREE: thin veneer construction. 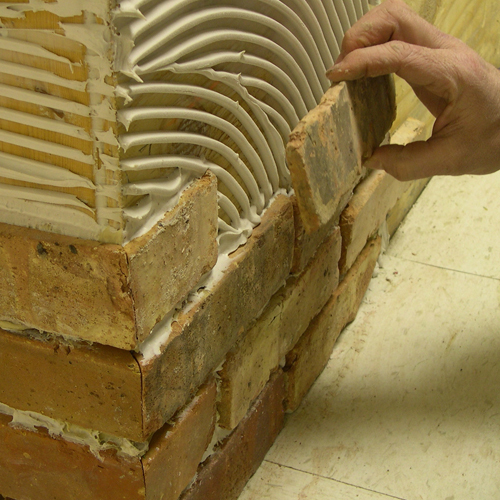 I hesitate to call this masonry because in most instances the whole idea of this technique is to have material so thin, 1 1/2″ or so, that it does not need support from stacking the material up but rather is glued onto the wall. 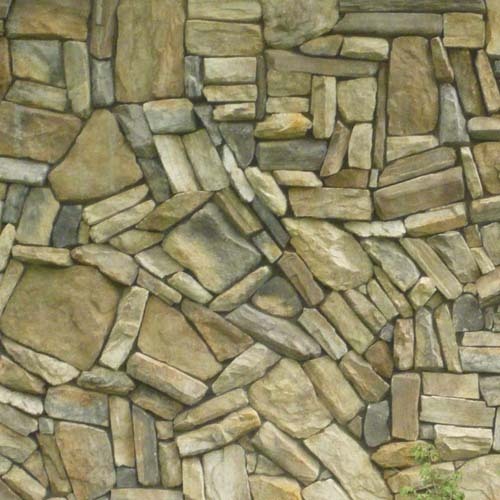 Each piece of fake stone or brick is simply glued to the wall often from the top down or in some strange random pattern that does not reflect gravity or any of the rules of traditional masonry. As this stuff is quite thin, as it turns an outside corner either the ridiculous skinny material is exposed or a fake corner has to be produced. LEVEL FOUR: thin panel veneer construction. This is essentially paneling masquerading as masonry. 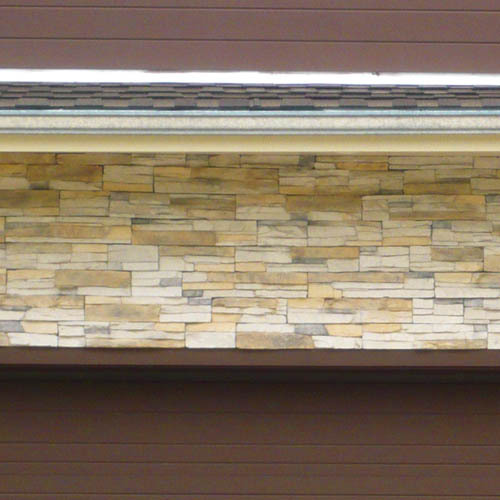 These are thin panels of stone or brick, pre-assembled, with staggered side edges to hide the panel joints after installation. 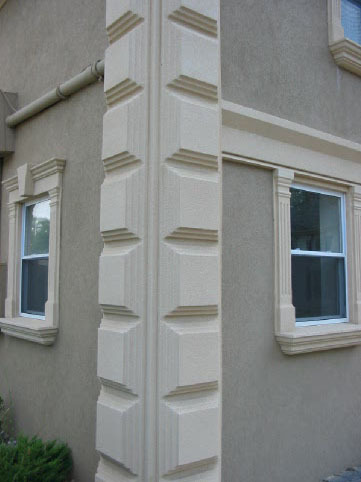 These panels are very lightweight and inexpensive and if installed with some care as to edges and joints, can, at a distance, fool almost everyone into thinking it is real LEVEL ONE or TWO masonry. Until the panel starts to peel off the wall at least. 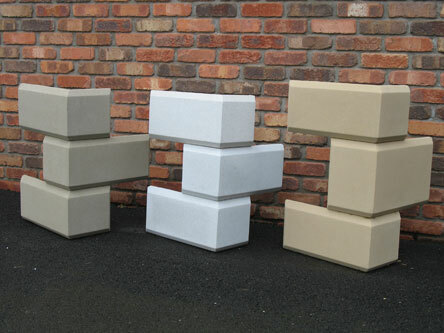 Usually the material on the panel is not brick or stone but plastic or resin composites. Now that we have laid out the techniques of deception, expecially in LEVEL THREE and FOUR, let’s take a look at the quality of the product. Obviously in all cases if the product being used in made of the same stuff or in the same way as the original it is trying to duplicate there will be a much better chance of replicating its look and application. 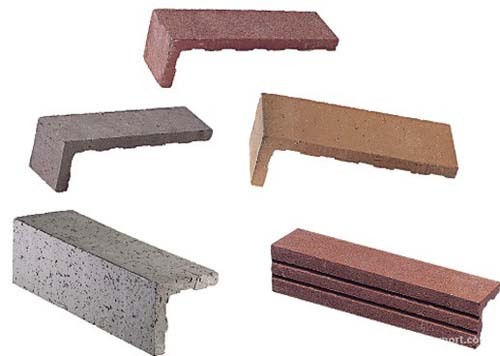 So, thin veneer brick that is actually cast and molded like brick, from the same clays, will be a much better fake than the vermiculite-pressed products. 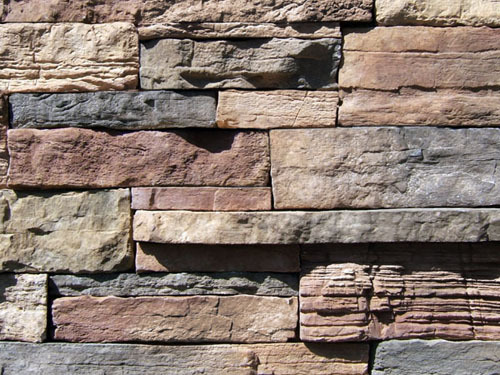 Same thing with stone – thin cut stone, from an actual quarry, will be far more successful than the dyed-concrete stuff (often known as “cultured stone”). Of course, in LEVEL FOUR, panels of “masonry”, none of this typically occurs. so many pretty colors!! ...maybe too many. 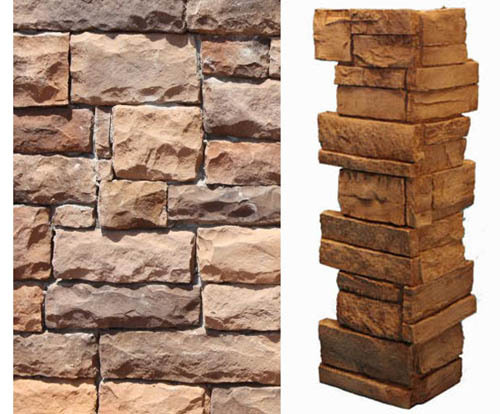 I am all for using masonry, especially LEVEL TWO veneer masonry, in ways that do not try to replicate traditional bearing wall construction. 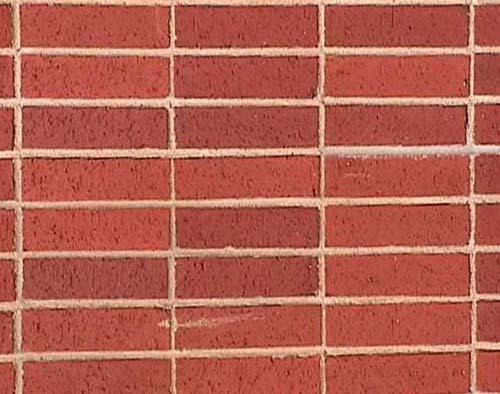 Bricks can be laid up as straight-stacked or panelized, each “revealing” their roles as an exterior finish material, not a structurally bearing material. However, this is rarely done and most often the worst abuses of the fake masonry world occur when traditional masonry is desired but the execution, either in installation or a complete failure of the product, fails to understand what masonry is. What am I talking about here? Well, let’s have a little survey of installations that have no idea of what they are doing. 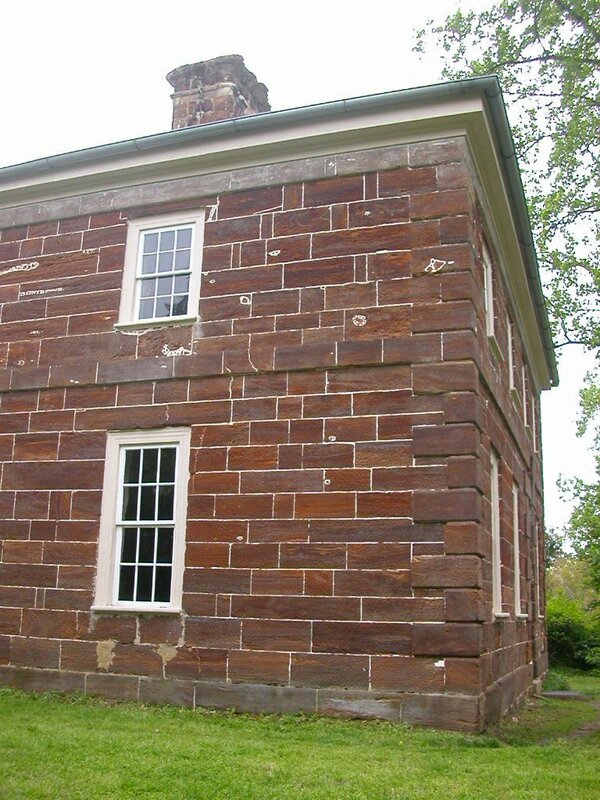 No real mason would ever let so many vertical joints align, especially in a dry-stack type of installation. 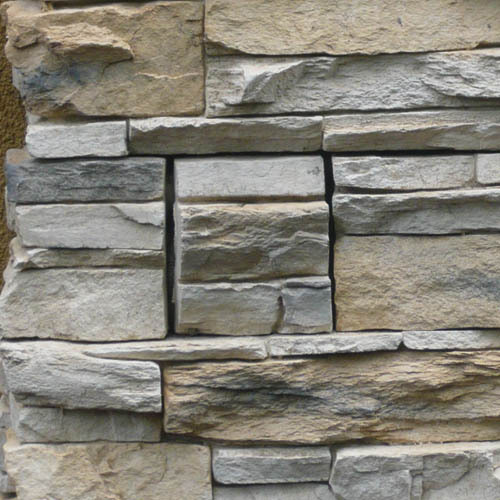 These fake stone are clearly made in multi-stone units that are simply butted together – usually a sign of concrete faking it as stone. Awful, a product and installation failure. When the stuff is so thin it is glued on rather than stacked, there is no sense of gravity having any sway in this universe. And clearly the corners of this stuff ought to show that the material is maybe more than 2″ thick. I think this is the Medieval Times look. In conclusion: I am no fan of any use of LEVEL THREE of FOUR products or applications unless you are going to clearly apply them like wallpaper and have some fun with it. Hey, how about a brick chair? 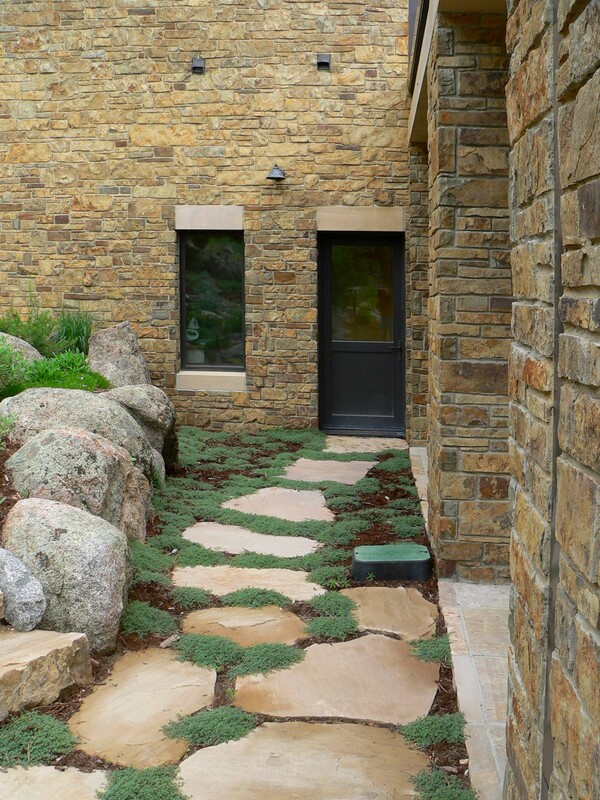 Or a stone door? 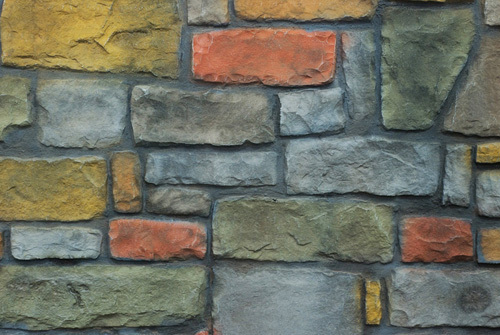 For the LEVEL TWO veneer masonry, let’s either use it in a traditional way – openings would have lintels or soldier courses, the masonry would never hang in the air – or let’s acknowledge its role as merely an exterior protective surface and detail it accordingly.